Despite being the smallest room in everyone’s home, the bathroom deserves a lot of love and attention. This is especially true if you’re moving into a new home and don’t know what sort of a treatment your bathroom received from its previous owners. That’s why you should make it as special as possible and renovate the entire bathroom before settling in. If you’re unsure how to do so in an adequate, efficient and affordable way, here are a few suggestions you might want to take into consideration. The worst thing about moving into a new place is dealing with all the things left behind the people who lived there before you, and examining the bathtub is one of the best ways to see how they treated their home. It may be too old, too rusty and too small, so it’s time to replace it and install a new one. Lots of people today decide to go with a freestanding bathtub due to a variety of reasons – it’s spacious, visually attractive, elegant and unusual – so think about that option first. Alternatively, you can always install a smaller shower and thus maximize the space in your small bathroom. Again, this is something that might have worked for the previous owners, but not for you, so you have to intervene immediately after moving in. Fortunately, new bathroom vanities don’t cost too much to build and install, and it’s a job you could probably do on your own and thus save a ton of money in the process. Just pick your favorite color and materials, find the ideal spot for your vanities, blend them in with the rest of the design and you’re good to go. These will give you new storage space and bring in a dose of class into your bathroom. Moving into a new place also means you’ll have to deal with a number of larger problems that need urgent attention before turning into a catastrophe, and your bathroom plumbing is potentially one of these. Old and leaky pipes usually don’t seem like the worst thing in the world to a layperson, but they can lead to serious damages that are rather costly and could prevent you from using your bathroom for a couple of weeks. That’s why contacting a professional who can look into your suspicious bathroom leaks and solve the problem before it escalates is essential, especially if you’ve moved into an old home that hasn’t had any bathroom renovations done in decades. If your new bathroom doesn’t look exactly new, it’s time to freshen it up with a new coat of paint. Since bathrooms are usually small, this shouldn’t take too much time and you can probably finish painting it in an hour or two, and the best thing is that you can keep adding new layers until you’ve found the color you’re happy with. If you’re not a fan of paint, though, applying wallpaper is always an option, especially if you find an intriguing pattern or a design that really suits your home interior style. This simple upgrade is neither expensive nor hard to turn into reality, but it’s an amazing way to make your bathroom stand out and become the focal point of your home. Just because the previous owners enjoyed having a sink right next to the bathtub doesn’t mean you have to like it as well. Luckily, your entire bathroom layout can be changed quite quickly and you can organize this space basically however you want. This is the best way to personalize it and make it your own, as well as introduce all the major changes you’ve always wanted such as adding a new sink for your spouse or making more room for your towels and beauty products. After creating a new layout, your new bathroom will feel truly yours, and you’ll be able to enjoy it more thoroughly than before. 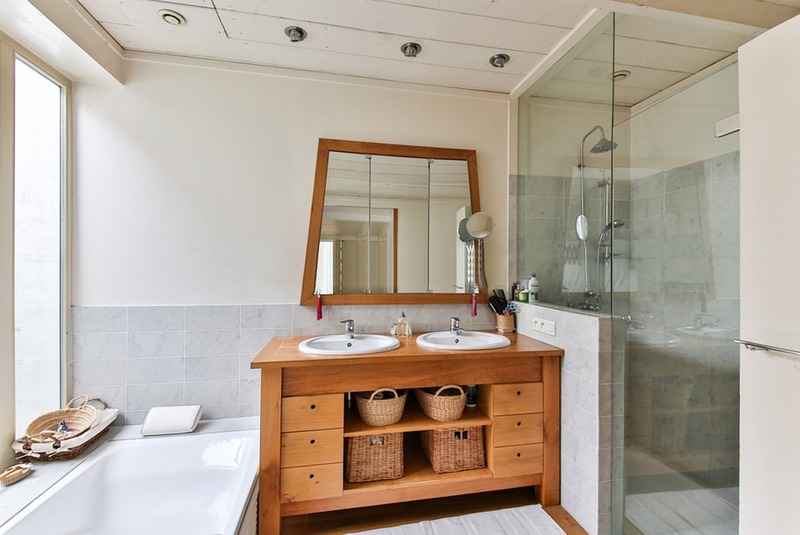 Lots of people don’t think renovating their bathroom is a big deal or something that necessarily has to be done, but it can bring major changes into your home and improve the quality of your life, so think these ideas through and start making renovation plans today!